Wherever you are, we hope you're seeing some signs by now of the approaching spring weather. We're ready to shed these layers and bask in the fresh air! 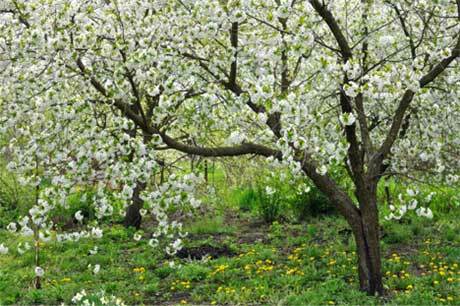 Spring can be a time of rejuvenation, regrowth and rejoicing. Remember, we can all benefit from spring cleaning - and not just in our homes! Take this time to step back and assess your status in the game of life, both personal and professional. Vow to wipe away those fears, regrets, and tendencies to procrastinate once and for all. Shedding old habits that don't contribute to your personal growth can prove very uplifting. The first step in trying to undo a habit lies in recognizing the trait or the behavioral pattern that you are trying to avoid. Be confident that you are making a positive life change. Just as much as getting rid of old habits, it's also important to learn new productive habits. Decide how you're going to incorporate them into your daily routine so they add value to your lifestyle. To get accustomed to new behavior easily, you should enjoy doing it. While practicing the new behavior, think about the benefits you would derive from it. As always, your Designer Society of America staff is here to offer support in any way we can. Whether it's questions about memberships, opportunities for certification, or how to get the most out of your free DSA website, we have the answers you need to put a "spring" in your step! Speaking of spring fresh is in the air! We are in preparation for the upcoming launch of our beautiful new website! We know how important it is - for DSA and for our members - to have a functional, professional website. In order to improve on the site we already have, we're putting a great deal of resources into this effort, and we expect to unveil the new site before summer. Not only will the new DSA site offer a fresh design, the entire site will be mobile-friendly, a must for today's on-the-go lifestyles. The new website will still have all the features you enjoy on our current website, and hosting your portfolio and attracting potential new clients to you will still be free of charge for our members. Please watch for upcoming communication. This is an exciting project for us, and we can't wait to share the results with you! Green design is as hot a topic as ever. Often we can influence - or just assist - our clients in making green decisions during new construction or renovations. 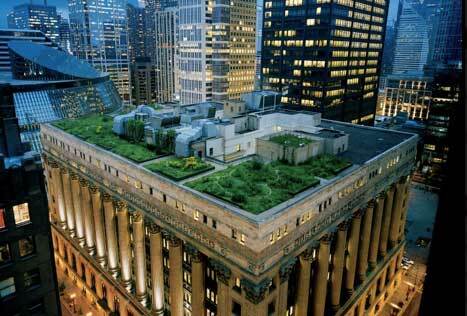 One trending topic is the design of "green roofs" or energy-efficient vegetated roof systems. Once installed, they often last longer than conventional roofs. While the energy saving benefits of commercial green roofs are already well-known, residential green roofs can also dramatically improve building energy efficiency. Green roofs can regulate a home's internal temperature and reduce heating and cooling costs. Cost-efficiency: A University of Michigan study showed that more than 50 percent of the cost associated with installing a green roof will be returned in the form of lower maintenance and reduced energy usage over the lifetime of the green roof system. Energy savings: A typical 2-3 story building could experience 15-25 percent savings in summertime energy costs. Lower air temperatures: A modeling study found that adding green roofs to 50 percent of the available surfaces in downtown Toronto would cool the entire city by 0.2 to 1.4°F (0.1 to 0.8°C). Lower long-term maintenance costs: Green roofs can extend a roof's lifespan by two or three times by cutting down substantially on typical wear and tear created by hot temperatures and other elements. Sources: "Reducing Urban Heat Islands: Compendium of Strategies, Green Roofs," U.S. Environmental Protection Agency and Sustainable South Bronx. We have a design crush on the adorable team that is Ishka Designs, a Brooklyn-based interior design firm specializing in residences, vacation properties and restaurants around the world. The firm is comprised of designers Anishka Clarke and Niya Bascom. Listed as a Top 20 African-American Interior Designer four years in a row, Anishka Clark has cemented her corner of the design market. Having worked a decade in finance - both in Jamaica and on Wall Street - Anishka left finance in 2006 to pursue her real passion: interior design. She has since honed a strong nature-inspired aesthetic, which complements her evolving yet eclectic sensibility. Niya Bascom worked for many years in the film industry on set design and within several art departments. In addition, his depth of experience as a photographer for the last 15 years, shooting celebrities, products and interiors, has honed his eye for design and cemented his keen sense for style. 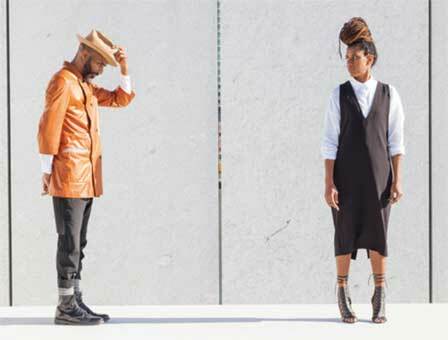 Niya has a penchant for vintage sourcing, which serves his company well. A short stint with the Brooklyn Botanical Gardens awakened a love for landscape design allowing Ishka Designs to successfully maneuver in this arena. Dedicated to creating efficiently beautiful, casually sophisticated, minimalist interiors for clients worldwide, Ishka Designs was listed as a "Next Big Name" in Design by Lonny magazine and has been listed four years in a row as a Top 20 African-American interior design firm. Though they have a lot of commercial project experience as well, Ishka's residential projects run the gamut from one-bedroom apartments to five-level brownstones to beach-front estates. For more information, visit www.ishkadesigns.com. It's never too early to start making plans for the spring High Point Market, and we have some great insider information to share. The Secrets of High Point Market include handy tricks known only to insiders and veterans (until now). Every great institution has its secrets, those unpublished, rarely mentioned, sometimes denied ins-and-outs that separate the truly cool from the uninitiated. Like the peanut butter and bacon burger at Shake Shack or the hidden bunker at the Greenbrier, only those "in the know" have access. High Point Market is no different. Now, a few cognoscenti, whose names have been withheld for obvious reasons, agreed to share the 411. Foul weather will undoubtedly rain on your Market parade at some point, especially during the spring show. That's the day you'll be glad you know about the secret passageway that links the big IHFC building at the Transportation Terminal to the Market Square, Commerce & Design, and 220 Elm buildings, three blocks away. This little-known byway can be a bit tricky to navigate, but it's a lifesaver (hair saver, shoe saver) when the weather gets a little wet. Exit the IHFC Commerce Wing next to the Interhall café, and stay under the covered walkway as you cross Wrenn Street. Enter IHFC Main, and proceed through the building to exit to the Main Street exit (stand underneath the awning until traffic clears). Open your umbrella and dash across Main Street just as soon as the traffic control officer gives you the go-ahead. You have just completed the only wet part of the trip. Enter the Furniture Plaza building, walk past the American Furniture Hall of Fame wall, go up the escalator, and turn left. You'll see a sign above the hallway that reads "Skywalk to C&D Building, Suites at Market Square, Historic Market Square." Follow that sign. When you reach the end of the Skywalk, go straight ahead for 220 Elm, or make two rights and enter the Commerce & Design Building (2nd floor). Or you can take a right, then a left to enter Suites at Market Square on the mezzanine level. Tada! Your Market pass will open more than showroom doors. Without uttering so much as "open sesame" that color-coded card stock will get you access to the most exclusive club in town. Flash that pass to the hostess at the High Point Country Club (formerly the Emerywood Country Club) and you can dine at member prices, sans membership fee. The club is located at 800 Country Club Drive, in the Emerywood neighborhood, about a mile from the Market center. Bon appetit! Even long-timers may not know about the Boiler Room. This clandestine bar and grill is hidden among the warrens that make up the oldest part of Market Square. Don't mistake "hidden" for "empty." This place has a following and it can be tough to find a seat. Finding the Boiler Room is akin to locating a speakeasy. Exit the Suites at Market Square from the mezzanine level and turn right toward the Antique & Design Center. Take a left at the end of the hall, proceed straight ahead, then down a flight of stairs. Did you know? In Chinese astrology, each year is associated with a Chinese zodiac animal sign and one the five elements: gold (metal), water, wood, fire or earth. It just so happens that 2016 is the Year of the Fire Monkey! 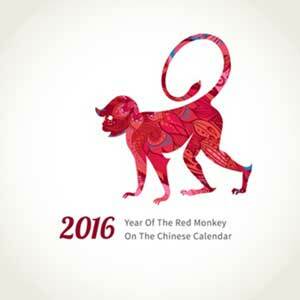 The monkey is the 9th of 12 animals in the recurring 12-year Chinese zodiac cycle. Every 12 years there is a Monkey Year. Interestingly, Monkey Years are all multiples of 12 -- from 12 AD through 1200 AD to now in 2016. People often offer sacrifices to monkeys to pray for rain and even for sons, and they have become an interesting part of Chinese culture. Both the sign and element of your birth year are said to affect your personality and destiny. Those born in a Fire Monkey Year are said to be ambitious and adventurous - but also irritable (yikes!). We're pretty sure there are ways to keep them happy, however. People born in a year of the Monkey are also said to be witty, intelligent, and have a magnetic personality. Personality traits such as mischievousness, curiosity, and cleverness, make them very naughty. Monkeys are masters of practical jokes, because they like playing most of the time. Whatever Chinese zodiac you happen to have been born under, it can't hurt to entertain some of these interesting ideas...ancient Chinese secrets and all! The 10th Annual Green California Summit and Exposition is planned for April 21-22 in Sacramento and will be of interest to those looking for opportunities to help create a sustainable future. It will highlight strategies, technologies and best practices that are essential to green goals and the growth of the economy. The conference includes an expo with more than 100 companies offering green products and services, from zero emission vehicles to building materials. Concurrent sessions led by expert practitioners will cover topics including energy and water conservation and clean transportation. Pre-Summit seminars on April 20 will address Zero Net Energy buildings. The day will conclude with a networking reception in the Expo. Registration for keynotes, expo, leadership awards and opening reception is free. For more information and to register, go to www.green-technology.org or call (626) 577-5700. There's nothing we love more than a spectacular showhouse, and Traditional Home's Southern Style Now showhouse will not disappoint. Join Traditional Home in New Orleans' Garden District for a tour of their first-ever New Orleans showhouse. Participating designers and artists, all originally from the South, will lend their contemporary vision to the 12-room showhouse while also incorporating traditional southern design. It will serve as the anchor of the first-ever Southern Style Now Design Festival. The showhouse opens May 18 with a black-tie gala benefiting New Orleans' Preservation Resource Center. (For tickets, see the Register page at the link below.) The evening's events will culminate in the presentation of the first annual Gerrie Bremermann Award for Interior Design, by Bunny Williams and Shaun Smith, to local living legend Gerrie Bremermann. Tours are available May 19 through June 12. The Southern Style Now Design Festival is planned for May 19-22. This year's showhouse will feature the work of many gifted designers, including Brian Patrick Flynn, Paloma Contreras, Shaun Smith, Melissa Rufty, Reagan Hayes, Michel Boyd and more. For information and tickets, visit www.southernstylenow.com.